A luxurious Eau de Parfum, Shower Gel, Body Cream, and Mini Set. Flowerbomb 4-Piece Set is rated 3.0 out of 5 by 2. 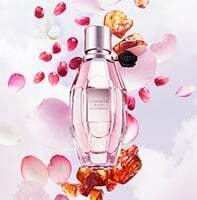 Rated 5 out of 5 by Gig8 from Love Flower Bomb Was waiting for Valentines day-to hopefully get Flower Bomb perfume. Love the gift set-I am in Flower Bomb heaven!! Rated 1 out of 5 by june from disappointed beyond belief by size!! Small sample sized, not worth it!! Hardly able to really get results due to the sample size of the product! !